Several years ago I asked my scouts which one of these words is most important. Hands flew up, “Reverent!” several shouted. I told them no. Then one-by-one they guessed at each of them. Frustrated, they finally said they gave up. The most important word is “IS”. 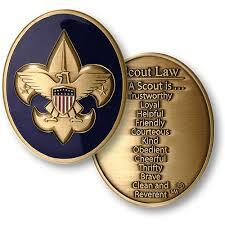 It doesn’t say a scout tries to be trustworthy, or is sometimes loyal. It doesn’t say that you are reverent on Sundays and friendly to those that you like. It simply says that he “is”. And that’s an important distinction, and why I think it’s the most important word.